How can you earn a little cash with your vacation photos? 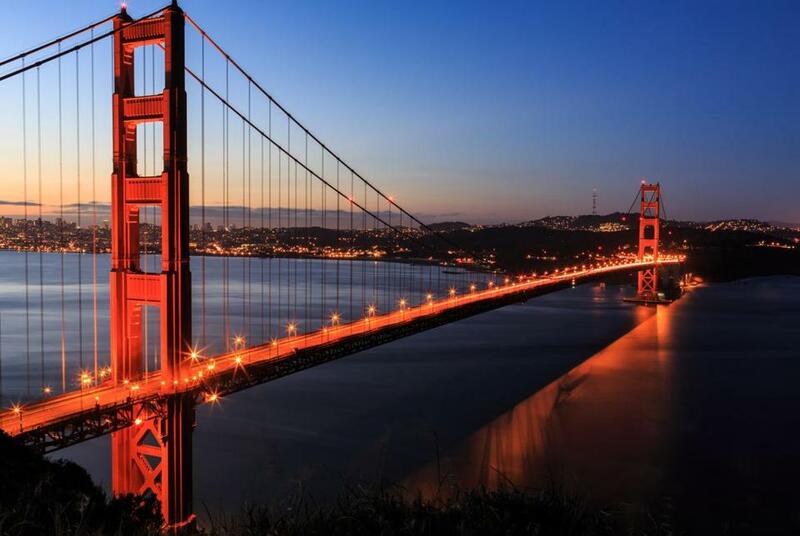 Ken Rhodes’s shot of the Golden Gate Bridge. Ken Rhodes, chief scientific officer for Yumanity, had a rather surreal experience while en route to a meeting a few years back. “We were raising a round of fund-raising for our startup and waiting in the reception area,” the Belmont resident recalled. “And the Boston Business Journal’s annual book of lists was there, and on the cover was one of my photographs.” Rhodes’s photograph, a serene twilight landscape of the Boston skyline twinkling across the Charles River, was featured throughout the issue. But it was no coincidence. Rhodes’s photo was sold as microstock, the community-driven facet of stock photography that allows photographers of all levels to submit their work for profit. Stock image companies — like iStock, Shutterstock, Adobe — then filter through contributor submissions for quality control and put the best up for sale, sometimes for a royalty-free flat rate, sometimes on a pay-per-download basis. Photographers then receive a small profit from the usage. While the payout is somewhat minimal, some microstock photographers say they use the supplemental income to help fund — and determine — their travel experiences. Mead estimates he’s been paid “a couple hundred” each year since he started participating in microstock on Shutterstock in 2013. It’s not enough to finance the four or five times he travels outside Boston each year, but the incentive is enough to push the Colorado native to continue working on his photography. Shutterstock, which claims to have paid out more than $500 million to contributors, estimates it will add 150,000 new images from users each day, measuring the submissions on three key factors. Technical composition (focus, lighting, noise) is evaluated, as is the ability to legally license an image (are there visible trademarks? ), and the user-submitted metadata, that includes a title and up to 50 keywords. And it’s the accuracy, strategy, and clarity of those keywords that can help make or break an image. Shutterstock provides its users with some outlook on what popular search keywords are maybe driving purchases, but Brennan said it’s travelers who are both adventurous and culturally aware who get the best shot. And sometimes it’s just a matter of responding to the news cycle that gets a download. And even if you’re not a pro — don’t be afraid to get started with your camera phone next time you’re away.